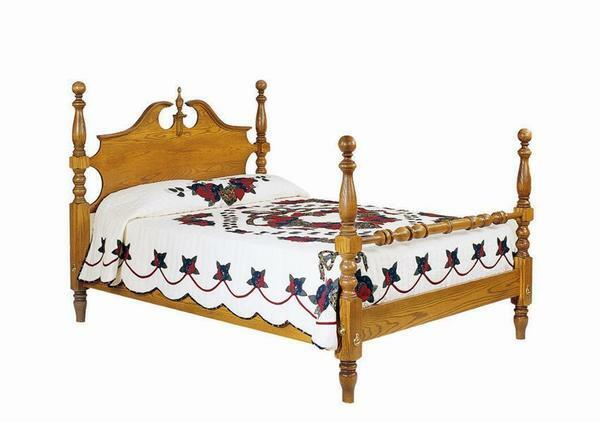 The Amish Royal Classic Cannonball Bed is handcrafted in a traditional Cannonball design. This elegant bed has beautiful curves and detailed legs that will surely add a sense of sophistication to any bedroom suite. Available in four different bed sizes and a wide variety of wood species and finish options, you are sure to find "the one" for your bedroom. Please call with questions on our Amish bedroom furniture. Our Amish furniture specialists are happy to provide you with finish samples to assist you with deciding on your wood type and stain. Give us a call today at our toll free number - 866-272-6773.